Perennials are structured differently from annuals. Perennial plants often have tubers or other structural pieces that help them protect their roots and seeds. They will go dormant when the weather starts to get cold and will start to grow and bloom once the weather warms up. Usually, gardeners know when spring is on the way because their perennials will start to grow again. These plants flower abundantly and multiply without being coaxed. Among the most rewarding traits of perennials is that the fact they come up unprompted year after year to offer the garden masses the highlights of color uninterrupted but ever changing patterns from April to November. A perennial garden is a long-range and never static project that ideally incorporates both performance and constant change. Its objective is to present a pleasant and even exalting array of color from early spring to late fall. But it is the rare perennial that blooms all of the growing season. It is a challenge to obtain continuity of color by planting different varieties to bloom harmoniously at different times, and to keep different types of perennials from overgrowing one another in the same beds and creating a horticultural slum. 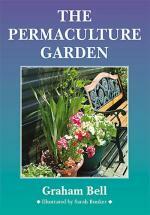 This is simply the best book that you can buy about every aspect of permaculture gardening in a cool climate. This is an easy to use guide to selecting hundreds of perennial species. It is indispensable for growers and designers working in subtropical and warm temperate/arid climates, and also includes some cool tolerant species. 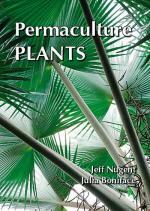 Permaculture Plants: A Selection details hundreds of common and unusual edible, medicinal and useful plants. 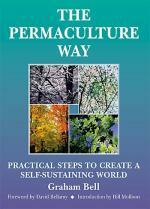 The Permaculture Way shows us how to consciously design a lifestyle which is low in environmental impact and highly productive; how to meet our needs, make the most of resources by minimizing waste, and still leave the Earth richer than we found it. 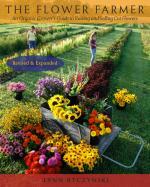 A beautifully written and illustrated look at growing organic flowersãfor yourself or business. 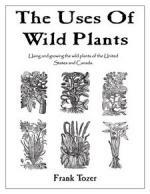 A must-have for foragers, botanists, herbalists, gardeners, permaculturists, and anyone who wants to learn more about wild plants, this insightful guide provides interesting and valuable uses for more than 1200 species in 500 genera of wild plants found throughout North America and beyond. When you choose to grow perennials you will need to take some precautions to protect the plants during the winter. After the first couple of hard frosts in your area you should trim back your perennials to get them ready to go dormant. Depending on where you live and how cold it gets you may need to cover your Perennial plants with plastic or burlap to protect them from the cold. You should also put cuttings or bulbs from your perennials in storage in your gardening shed or garage for the winter in a protected place. Putting wire or mesh cages around the plants will help protect them from animals and the elements during the long winter ahead. If it doesn’t get too cold but you want to insulate your perennials from the cold and wet weather, you can add a thick layer of mulch over the perennials to help keep them warm and give them the nutrients they need to make it through the winter. Straw and other organic materials make very effective mulch to put on perennials. If you are adding mulch, make sure that there is no newspaper, plastic, or other material in the mulch that could smother the plant. Composted mulch or just a thick layer of leaves is really the best protection for your perennials. When you are adding mulch, make sure that you use about 6-8 inches of mulch for each plant. Spread the mulch around the roots thoroughly. You may need to re-mulch in the winter if the weather is exceptionally cold or if the mulch breaks down quickly.